Billy Beane will never spend a king’s ransom for Pitchers on long-term deals or for big $$ because of injuries like Tommy John crippling your salary infrastructure for the whole time a player may be out. 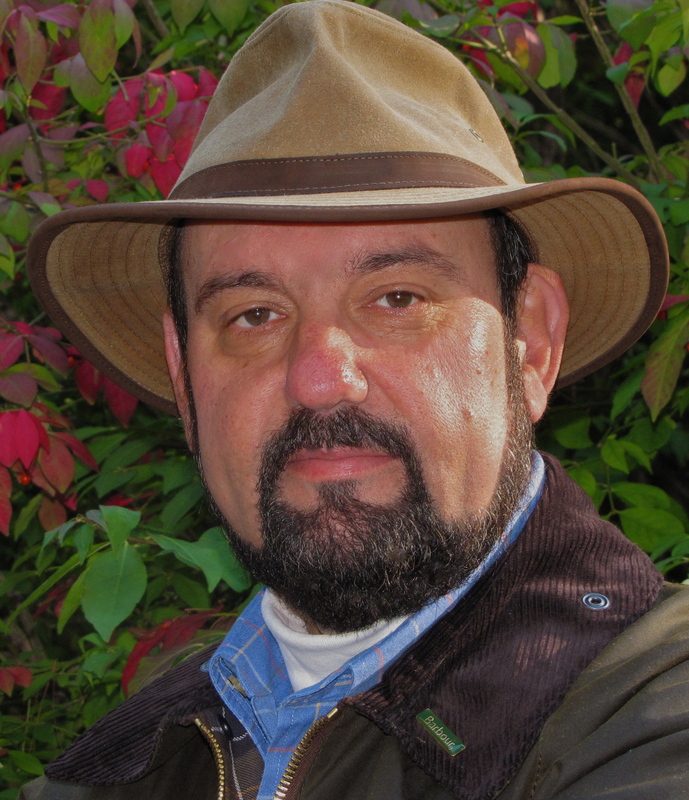 Especially with smaller market teams, having too much invested with your pitchers can be catastrophic. Even though Jarrod Parker were out for a couple of years each with TJ surgeries the club was not hampered long-term financially by their injuries. It hurts yes, but not as much as it could have. He was forced into realizing the effects from losing Mulder, Zito and Hudson because the team couldn’t afford to re-sign them a decade ago. But as you will read, it was a blessing in disguise. This has been an organization that has thrived on brilliant drafting of young arms. But in saying that. Billy Beane is a manager that will never throw out big dollars to retain Starting Pitching once the club has past the Team Controllable years. 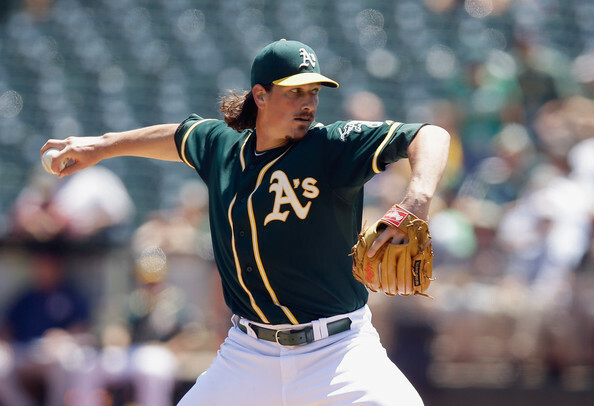 In the early 2000’s, the team featured three ace pitchers in Barry Zito, Tim Hudson and Mark Mulder. 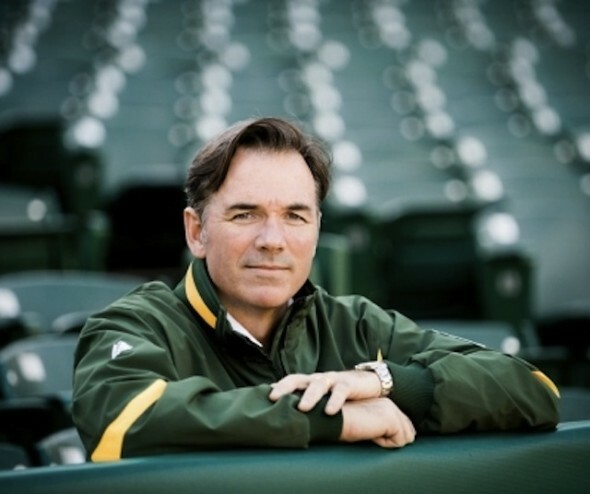 Billy Beane had to let each of them leave Oakland (in the winters of 2004 – Hudson/Mulder, and 2006 winter – Zito) because they couldn’t pay them the kind of dollars needed to secure them long term. 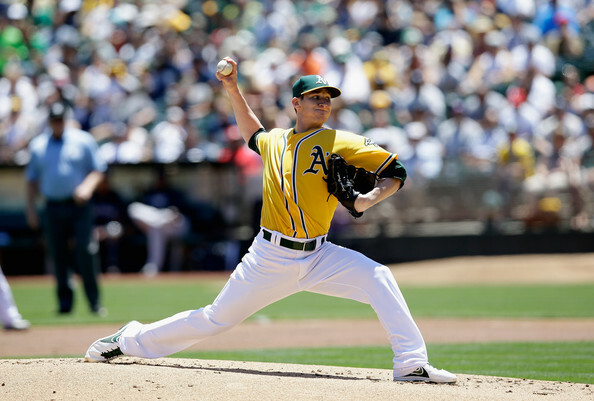 It was a decision that looked dire to start with while the team struggled from 2007 – 2011, but it also paved the way for a new run at AL West Division supremacy from 2012 to current. The Cardinals Roster Tree has been the easiest to do by far. This organization has Drafted so incredibly well, that there has been no real need for trading of late. We will still see how drafting J.D. Drew has turned into Adam Wainwright, and how Albert Pujols signing with the Angels, made for the Cards to select young phenom Michael Wacha. St. Louis is made to their 8th NLCS in the last 13 years, and 4th World Series Appearance in the last 10, with a multitude of young stars coming in the horizon. They are going to be players in the National League for some time to come. 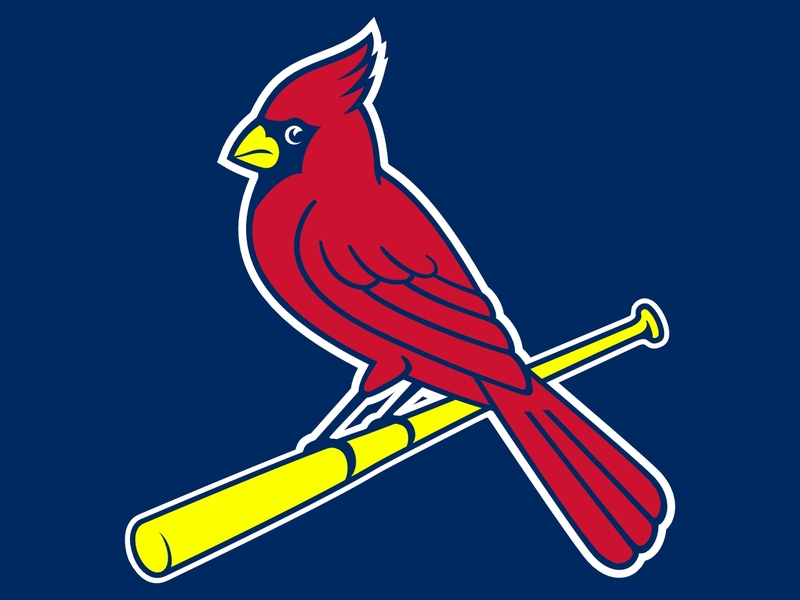 At the MLB Reports, we intend to show you the Roster Tree for the St. Louis Cardinals – and how they assembled their current roster for hitting and Pitching. It will work in a six degrees of separation like format. The Cardinals are the model NL Franchise, having gone to 8 out of the last 13 NLCS Matchups. They also stand to benefit that the highest revenue teams in the MLB like New York, Boston, Los Angles (x2), Detroit, Texas and San Francisco do not reside in their Division. Their team has been run the best in the MLB for over a decade. At a just north of a $115 MIL payroll, they slightly hover over the Reds for highest team salary in the NL Central. if the Cards continue to display “Rounding techniques” in player acquisitions, they will keep contending every year with the other big boys across baseball. When you add the fact that the brass knows how to run a club like the Oakland A’s and Tampa Bays Rays do, but also have money to spend, then you can see how dangerous this organization has been since 2000. What is not to like about this team? The club has appeared in 4 World Series in the last decade, 8 NLCS series since the turn of the millennium, and now with brilliant drafting and trades, the club is in outstanding position to keep it up for the next decade. While I hated the fact they recently signed Jhonny Peralta, I understand the move because it was so smart. This franchise addressed their two top needs this offseason, without surrendering any of their top young Pitching prospects, or even Oscar Taveras for that matter. Did I also mention that when Carlos Beltran signs somewhere else – the club receives another pick? 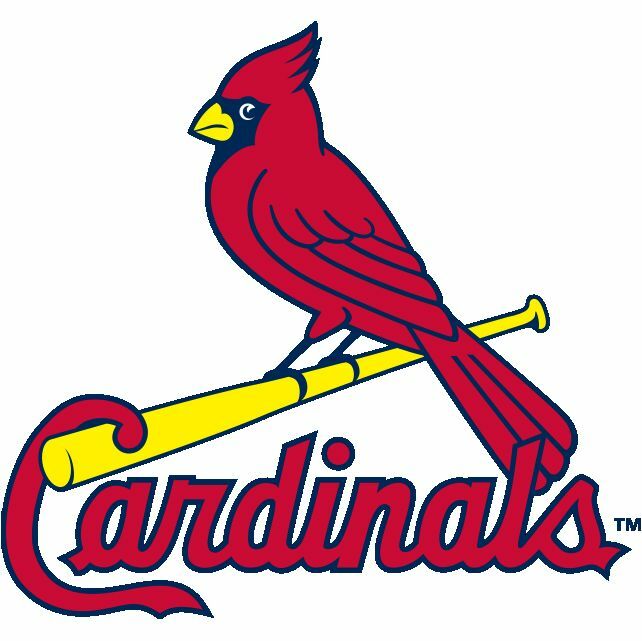 The Cardinals Roster Tree has been the easiest to do by far. This organization has Drafted so incredibly well, that there has been no real need for trading of late. We will still see how drafting J.D. Drew has turned into Adam Wainwright, and how Albert Pujols signing with the Angels, made for the Cards to select young phenom Michael Wacha. St. Louis is in their 8th NLCS in the last 13 years, with a multitude of young stars coming. They are going to be players in the National League for some time to come. 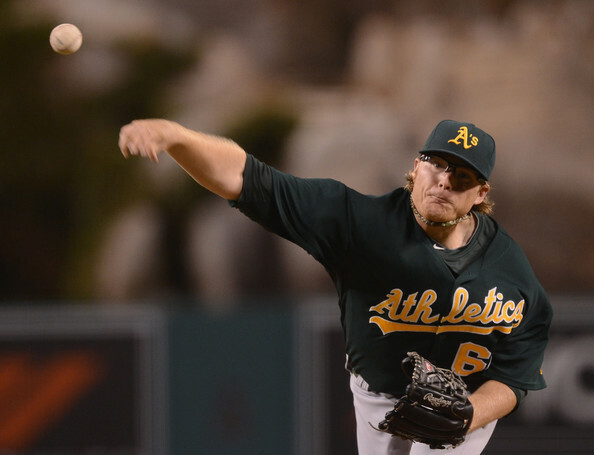 Brett Wallace had struggled something fierce to start this year before his most recent demotion to the Minor Leagues. 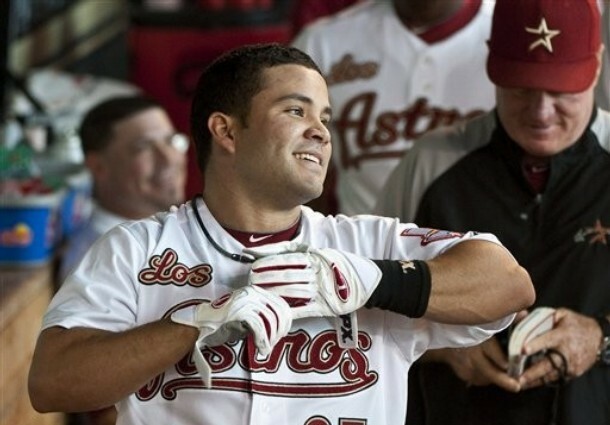 At Age 26, he is nearing the end of his rope with the Astros. He has a Career 3 Slash Line of .243/.316/.682 – with 16 HRs and 66 RBI in 743 At-Bats. Not encouraging numbers. 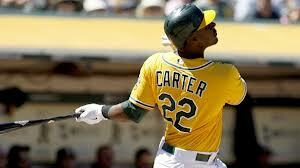 He was acquired from the Toronto Blue Jays during the 2010 season for OF Anthony Gose. At least Gose hasn’t accomplished much with the Canadian franchise yet. After seven games played, 17 Strikeouts, and one hit in 27 Plate Appearances, the Astros optioned First Baseman Brett Wallace to Triple-A Oklahoma City, and it comes a great news to me. I feel that Brett Wallace is on limited time in the Major Leagues and that he just isn’t going to pan out to be the highly touted prospect he once was. From Chuck Booth: Lee White sent this to me on late Saturday Night – no joke. I am still on vacation and watching the Dodgers Season Opener today (Cain vs Kershaw), but attest to this. The Houston Astros will take the diamond at 7:10 local time to square off against the Texas Rangers. Everyone is looking past the Astros, and for good reason. 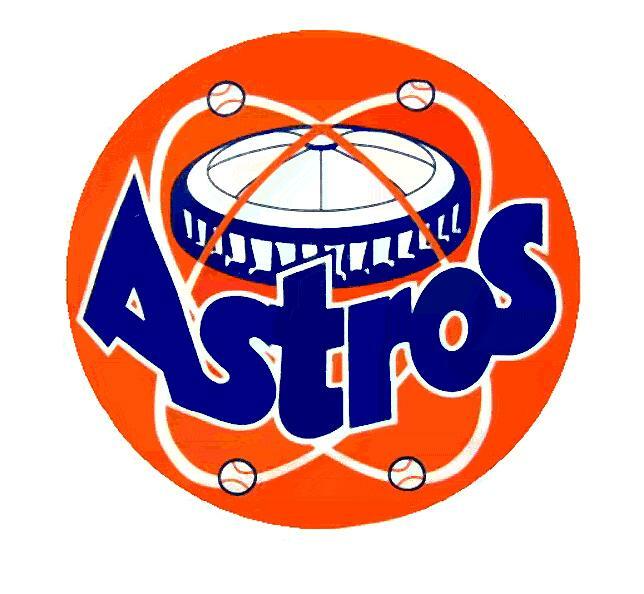 The Astros have lost 213 games over the past two season, but are looking for a change of fortune in 2013. It won’t be easy for ex cellar dweller of the NL Central. The Astros are now in a tougher division, but can still improve on the field of play. But forget all that. It is Opening Night! Baseball is back, and the games finally mean something again. Everyone has a fresh clean slate, and are looking to improve on their past seasons. Forget what teams did what last year, that doesn’t matter anymore. When the Astros play the Rangers tonight, I fully believe the Astros may be able to surprise some people. They have arguably the best pitcher (at home) that you can have taking the mound in Bud Norris. Last season Norris was terrible, unless he was pitching at home. My ‘Stros Bro and I, Richard Perez, had a bit of a debate about Bud pitching Opening Night instead of Lucas Harrell, and there is no way around what Norris can do at home. Last season at home, he went 4-1 with a 1.71 ERA. He came extremely close to setting a franchise record for ERA at home last year. How can you not pitch him for Opening Night? Especially since, you know, it is at Minute Maid Park. I predict that manger Bo Porter may stretch Norris out a bit in his first start and let him go seven innings. If he can make it that far, he’ll go seven innings and give up one run and help propel the Astros to victory. Another reason I think the Astros can beat the Rangers on Opening Night is because they’re facing Matt Harrison. Harrison was a pretty good pitcher for the Rangers last season, I’m not trying to belittle what he can do. But, he has never pitched well against the Astros. In fact, in four outings, two starts, he is 0-1 with a 5.04 ERA against the boys from Houston. Harrison isn’t exactly a veteran either. So he has been facing the rebuilding Houston Astros, especially as a starter. One more reason why I think the Astros can win. Here it is: Offense. The Astros haven’t had it the past few years, but with the addition of Chris Carter, and a little from Carlos Pena, they will get some offense. Yes, they will also strike out a ton, but tomorrow night against the Rangers, I believe we may see a few long balls from the Astros. Houston will have the little hit machine, Jose Altuve, leading off with Brett Wallace following, and then probably Chris Carter in the three hole. Carter will probably be the Astros biggest bat in the lineup, so Brett Wallace will see his fare share of pitches. Especially if Altuve is on base. The Rangers will try to make Brett Wallace earn his way on base, and Wallace can run into a baseball. He is no slouch. I’m not predicting a blowout, but I may be one of the few people who actually believe the Astros can win tonight against the Rangers. They will need to put it all together though. Pitching will be the main key as Bud Norris will need to shut the Rangers potent lineup down if the Astros want to have a chance to shock the baseball world on Opening Night. 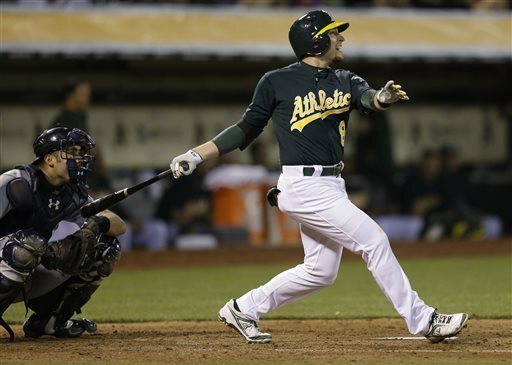 Can Nate Freiman Make The Houston Astros? Freiman has a 3 Slash Line of .294/.364/.847 in the Minor Leagues – with 71 HRs and 368 RBI in just 1876 AB for the Padres organization. 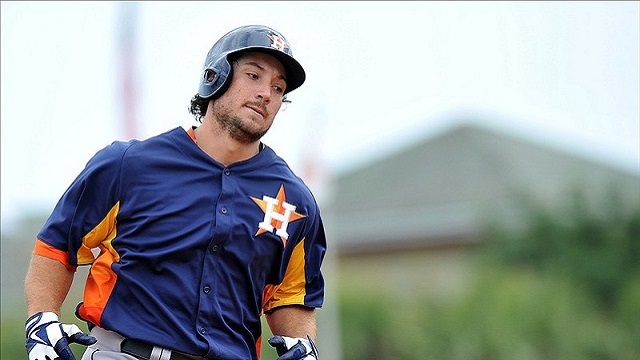 Nate Freiman was taken by the Houston Astros in the Rule V Draft. Freiman, a career .294 hitter in Minors, has never seen Major League playing time. He has that chance now. 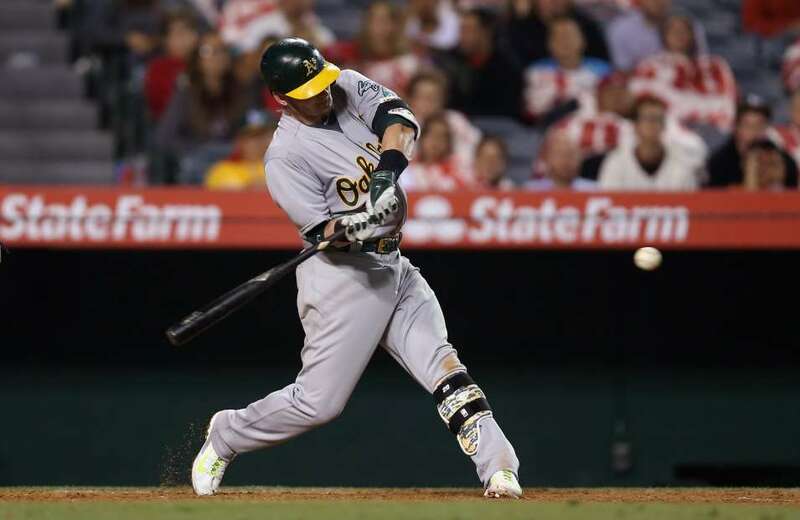 Freiman has shown the ability to hit, and hit with power. 2012 marked his second straight season driving in 100 runs or more. The only mark on Freiman that I have found is he doesn’t really have a position to play in the field. Good thing the Astros will have a DH this season! It is simply crazy that the Padres had not protected this 6 Foot 7 Giant. It may be a loss that will be felt for years if the man from Massachutsses pans out for Houston.